Homeowners who delayed locking in super-low mortgage rates close to 4 percent for a 30-year fixed may have waited too long. Rates are creeping back up, in part because of the tax-cut deal in Washington. Now those in the market to buy or refinance have to decide whether to take what's available or risk making the same mistake twice. "People thought for a while that rates would fall below 4 percent, and they hedged on that," said New York mortgage broker and banker Andrew Toolin, who had just been on the phone with a client who is paying 5.875 percent on his mortgage. A month ago, the client passed on what now looks like a once-in-a-lifetime opportunity: the chance to refinance at 4.125 percent. That would have put $321 more in his pocket each month. He held out, thinking he could do even better. Now the rate is up to 4.75 percent. He could still shave money off his monthly mortgage payment, but not nearly as much about $229. "He's wondering if he should wait for rates to go back down," Toolin said. "He's talking to his wife tonight about what to do." Rates are rising because they tend to follow the trends set by government bonds, like the 10-year Treasury bond. Investors are selling those bonds, causing their interest rates to rise, because of the deal President Barack Obama and Republicans reached to hold off tax increases in 2011 and 2012 and cut taxes for most Americans. Some economists think the deal, which would effectively put money in Americans' pockets right away, will help the economy heal faster. A stronger economy would make stocks more attractive than bonds, which are a safer investment in rocky economic times. Even though they're rising, mortgage rates remain at extraordinarily low levels by historical standards. The average rate on the 30-year mortgage rose to 4.61 percent from 4.46 percent last week. It hit 4.17 percent a month ago, the lowest level in the 40 years that comparable records have been kept. 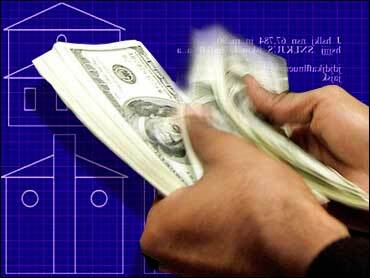 The rate on a 15-year fixed loan, a popular refinancing option, rose to 3.96 percent. Rates hit 3.57 percent last month, the lowest since 1991. The opportunity to refinance a home loan at a fixed rate of less than 5 percent is still a pretty good deal, and even better for those who are trapped in an adjustable-rate mortgage. Still, for those homeowners who already have low rates or are thinking about a second refinancing, a quarter-point to half-point change over the month could be crucial. Many have already refinanced into lower rates in the last year or so at 5 percent or below. They would need rates to be at least 1 percentage point lower to make a refinance financially worthwhile. Some who missed their opportunity acknowledged they may have gambled and miscalculated. Lisa Herman, a project manager at a financial institution in Philadelphia, said she learned from her mistake. She is trying to refinance her row house in Philly's Center City, while also buying a 1950s cottage home near her family in Traverse City, Mich.
Four weeks ago, she could have gotten 4.25 percent on her refinance and 4.875 on her purchase. She waited, betting rates would go back down or at least stay flat. But they edged up. A week later, she folded and locked in 4.378 percent and 5.125 percent. The price for her hesitation: about $50 a month. "I got a little greedy and I lost," Herman said. For buyers, the calculus is different. Their buying power has eroded marginally. But with house prices on the decline again, homes are still cheap. But a sustained rise in mortgage rates will eventually sideline potential buyers who started to think of historically low rates as a given. "It's all about negative psychology," said Julie Longtin, a real estate agent with RE/MAX Cityside in Providence, R.I. "Already my buyers are thinking about withdrawing until rates dip again."